Apparently in penalty shots in soccer, the goalkeeper will lunge to the left or right over 80% of the time. However in roughly 80% of penalty shots the striker aims for the middle of the net. The latter makes sense as it allows the greatest chance of getting a goal. Despite the statistics being known goalkeepers still like to feel that they are “doing something”. This may be also driven by the fact that criticism is more likely if you are seen to be doing something. Yet standing still in anticipation of the ball being kicked straight at you is still actually doing something. It just appears otherwise. It is human nature to think that doing something is better than doing nothing. Yet many situations do not need anything “done”. They will resolve themselves or at best need some minor support to do so. In medicine there is also a constant feeling of the need to “do something”. This has multiple drivers. It is fair to say that in many instances there is a call to act. This may be the need for a test or the need for some dietary change or even the need for a medication. Not everything that people experience, which may lead them to the doctors requires action of some sort though. One of the lost arts of medicine is what my old professor of Obstetrics called masterly inactivity. This is the art of letting the body heal itself without interference but under a watchful eye. The article describes how Shannon, after a few months decided to see someone about her stress (previously suggested but declined). The difference this time is that it was of her own volition not something “done” by the doctor. Not surprisingly there is little research done on doing nothing. Dr Zuger did a search of 22 million publications and found one study from 1986 on “The art of doing nothing”. 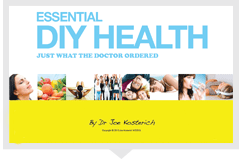 In the real world viruses will be dealt with by the body, the vast majority of headaches and other minor aches will resolve themselves. We may feel better and the doctor may feel better if we “do something” yet letting the body do something whilst we look on will often have the best end result – and be free of the harms which can come from needless tests or side effects from medications. There are certainly times when action is required. Like all pendulums it can swing too far. All medical interventions, tests and treatments carry potential harms. The notion of doing nothing can seem odd to people seeking medical help. Yet in some instances doing nothing and letting the body do “its thing” can be the best option. There is a lot of reference to ‘doing nothing, intelligently’ in natural hygiene literature, and has been for over a hundred and fifty years. Dr Thackery Trall delivered a talk at The Smithsonian Institute in 1862 titled The True Healing Art in which he advocated doing nothing, intelligently. Water- only fasting and total rest is just that- doing nothing intelligently. I have fasted numerous times and have supervised hundreds of fasts in people. The results are generally miraculous, but it will never become mainstream because you cannot patent water! Watchful waiting is completely different, however. Why wait and just watch what happens? Why not seek to remove the causes of disease and then watch what happens? This is more sensible. Good point Greg.Maybe doing nothing medical would be a better title- no tests or medical interventions. Masterly inactivity allows the body to heal under a watchful eye. The cause may be identified ( eg stress) but it can take time for people to be prepared to make changes.